Puff Back Cleanup Specialists In Long Island NY – True Restorations Inc. 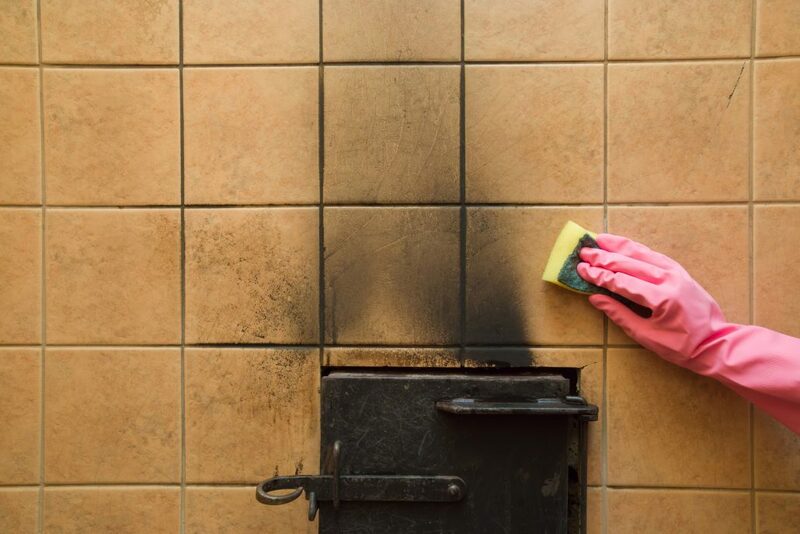 Dealing with a puff back or a severely smoked out structure will require the assistance of an experienced Puff Back Cleanup Specialists who specializes in smoke damage cleanup along with smoke odor removal. This cleanup job requires specialized equipment & techniques and is a likely going to be an insurance claim. True Restorations is a top smoke damage cleaning company on Long Island that you will want to have involved all aspects of this type of project, including insurance claims processing, smoke & soot cleaning, air filtering, odor removal & neutralization, textile cleaning, contents cleaning & deodorizing and odor encapsulation. If you have ever witnessed a house or structure that has sustained a puff backs or a severe smoke condition from a fire, you can attest to the extent of damages that can occur. There will likely be a layer of soot over every surface in the entire house, inside the closets, embedded in carpets & other soft goods, inside the ductwork, cabinetry…. everywhere. Even days after the puff back or fire occurred, spending time inside a smoked-out structure will leave you with a burning sensation in your eyes & throat due to residual microscopic smoke particles. The odor created by this condition will remain until proper cleaning & deodorizing treatments are done. Proper cleaning protocols will likely entail HEPA vacuuming every surface in the home along with a chemical sponge wipe down, followed up with a wet wipe solvent mixed with an odor neutralizing degreaser. This work will be done while simultaneously filtering the air with a HEPA filtered air scrubber coupled with a hydroxyl generator. If you sustain any kind of smoke condition at your home or business, immediately call True Restorations at 631-757-0212 for a free consultation and assistance with cleanup & processing of any insurance claim. To know more about our services, visit Smoke Damage Restorations. We also provide Water, Fire, Mold & Wind damage restoration services for residential & commercials. https://truerestorations.com/wp-content/uploads/2018/12/Residential-Restoration-company-in-long-island-ny-300x158.png 0 0 kevin b https://truerestorations.com/wp-content/uploads/2018/12/Residential-Restoration-company-in-long-island-ny-300x158.png kevin b2018-11-29 14:39:552018-11-29 14:39:55Puff Back Cleanup Specialists In Long Island NY - True Restorations Inc.
Water damage in Long Island is not uncommon, with it being surrounded by water and all. But it doesn’t mean you should take it lightly. 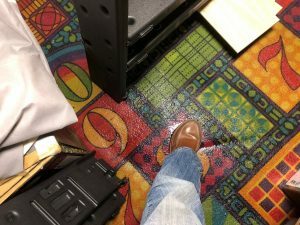 The water pooling up on your floor may get sucked up but the unseen water & moisture behind walls & under the flooring can wreck tremendous havoc if not dealt with properly. Have a professional take care of flooded basement water removal as well as detecting, exposing & drying hidden, trapped moisture before mold growth occurs will ensure the safety of you and your family. True Restorations, a top company dedicated to water damage restoration in Long Island NY, ensures complete removal, cleanup, and restoration of your home. You wake up one morning to find 1” of water throughout your finished basement. You search for the source but are unable to find a broken pipe or cracked plumbing pipe. You remember that there was a torrential downpour late last night & that somehow this build-up of water must have found some way to get into your basement. You think “this is going to be a lot of work”. After a call to your insurance agent, you learn that groundwater entering your home from this situation is known as ‘seepage” and that there is no coverage under your current policy for this type of work. Now what?? You go to your laptop computer, open up Google and type in “flooded basement water removal company near me”. After perusing a few sites & make a few appointments for site visits for an evaluation & quote, then, and only then does the magnitude of the coming cleanup occur to you. The first company to respond in for an assessment & quote was a local, reputable, highly rated water restoration company. Their assessment echoes your insurance agents, there likely will be no coverage, this work will have to be paid “out of pocket”. The restoration tech also explains many other aspects of a proper clean-up that you have never heard about. Terms like: category 3 water, elevated moisture readings showing trapped moisture in sheetrocked walls, potential harmful mold growth as a result of improper dry down of the affected structure. They present you with a quote for full water restoration services as per the IICRC guidelines. You think…..”Wow, this is way more work than you were thinking, all you want is the water removed”. You thank them for the quote and then wait for a second evaluation. The second company to respond to your request for help is a local plumber who specializes in pump-outs, typically sewer backups. He is not trained in water restoration and doesn’t even own a water meter that can detect elevated moisture readings in sheetrock, wood or even concrete or other surfaces. The plumber says, “only 1” of water….this is a piece of cake, I will have this water soaked up in 45 minutes”. He recommends that you set up a few fans to help dry everything down. He also recommends to maybe spray some bleach and do additional precautionary clean up. He gives you a price that is about one-quarter of what the restoration contractor quoted. After the two assessments & quotes and some thoughtful reflection, you make your decision on what to do. This scenario will play out for countless property owners, over & over again…… every day. Which direction any particular property will be determined by factoring available monies coupled with risk tolerance. If you can afford to pay to have the restoration contractor who is licensed, insured & trained to perform a full water restoration project with complete dry down and anti-microbial treatment and you absolutely are risk-averse to exposing your family to the potentially harmful affects of improperly cleaned surfaces or potential mold infestation. If your situation presents you with limited unavailable disposable income and an inability to access credit to pay for services, you may be forced to hire the “cheap guy” even knowing or wanting the full restoration & cleanup offered by the trained, competent restoration contractor. We at True Restorations are realistic & understanding about any one person’s particular financial situation and ability to pay for services will vary. We will respond to these types of emergencies for a free consultation. We will provide pricing for full restoration services as well as ala carte pricing for less than a complete water restoration project as we realize that without proper insurance coverage, some clients will need a modified scope of work that they can realistically afford. We do however seek an indemnification from our clients for protection against not following the IICRC guidelines for proper restoration along with executing the modified cleanup & dry down of the affected structure. If your home or business is affected by water in any way, please call us right away at 631-757-0212 for an immediate response, consultation & quote for services. https://truerestorations.com/wp-content/uploads/2018/12/Residential-Restoration-company-in-long-island-ny-300x158.png 0 0 kevin b https://truerestorations.com/wp-content/uploads/2018/12/Residential-Restoration-company-in-long-island-ny-300x158.png kevin b2018-08-29 12:38:282018-09-10 11:47:31Water Removal Only? Why Hire A Smoke Cleanup Company? Smoke can be hazardous to your health, worsening asthma and causing respiratory conditions. Don’t underestimate its power and have any smoke-related damage taken care of right away. 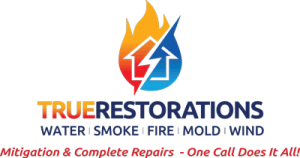 True Restoration, a smoke damage restoration company, will help you go through a full smoke removal, smoke cleanup & deodorizing procedure in the event of a smoke damage emergency. If you have ever experienced a small fire or smoke condition in your home or your business, you probably can remember how the smell penetrated everywhere throughout the structure. Perhaps you attempted to provide your own smoke cleanup, a puff back cleanup or soot cleanup from a fire. Maybe you attempted to mask the smell of the smoke by deodorizing on your own. I would be willing to bet that the smell never really went away. There is a very good reason for the lack of success in attempting a smoke cleanup on your own….it’s a tricky & laborious process that requires a lot of knowledge & expertise as well as specialized equipment. Trained smoke & fire restoration contractors possess specialized equipment & training for cleaning & deodorizing a structure. It would be highly advisable to seek out help from one of these contractors right from the onset of a smoke condition. These contractors are not only highly trained in cleaning & deodorizing, they also are very familiar with dealing with insurance companies in navigating the insurance claims process. They can be a tremendous asset & advocate in assuring that the proper cleanup is done, as well as securing a proper payout from the insurance company, minimizing or eliminating out of pocket expenses for their clients. Understanding some of the dynamics of a smoke condition can help one understand the level & type of cleaning & deodorizing needed for any particular smoke cleanup project. When a liquid or a solid (oil, wood, plastic, etc) is heated up, it changes states to a gaseous form. As this change of state occurs, this new gas created is also oxidizing (combining with oxygen). You can see this rapid oxidation process, which would be visually represented by a flame. High heat is the byproduct of rapid oxidation, this high heat, in turn, heats up the solid/liquid even more & creates a feedback loop which in turn causes more vaporizing along with more oxidation and so on. The smoke that you see is the gaseous form of that solid/liquid that has not completely oxidized (a.k.a., unoxidized, unburnt fuel). The smoke particles that are within the smoke will vary in size, the size will vary based on the type of material being vaporized & amount of heat generated by the oxidation process. A high heat fire creates very small diameter smoke particles, so miniscule in nature that a lot of them cannot be seen by the naked eye. This vaporizing & oxidizing process also creates highly pressurized conditions within a structure, which causes the penetration of smoke particles to virtually every part of the structure. The size of the particles will affect how deeply they can penetrate into surfaces & materials contained within a structure. Also, the smaller the size, the less visible they are the more likely for them to stay airborne & unsettled. These particles are an extreme inhalation risk for inhabitants and should be collected & scrubbed from the air ASAP. We all know that heat rises, the same goes for the heated smoke particles. Highly heated, pressurized smoke particles are searching for a way to vent out of the structure. They will go out open windows, or more likely, will travel vertically through a structure and collect at the highest levels and then mushroom out searching for a way out from the highly pressure environment they are in. Understanding the travel path of smoke is the key to knowing where the smoke particles will be potentially trapped and linger & remain as a smelly reminder well after the fire. Getting at these odor causing particles & neutralizing them takes specialized equipment & techniques. An untrained, unequipped homeowner attempting a smoke restoration or soot cleanup may unwittingly cause more damage to surfaces and finishes during cleanup by driving smoke particles deeper into surfaces during the cleanup process. Not having access to an industrial strength air scrubber with carbon filtering could mean that recently cleaned surfaces can be re-contaminated with smoke particles that can stay airborne for up to 10 days. Also, the unwitting homeowner may not realize that smoke particles have penetrated behind the walls, behind paneling, or have worked their way into the cracks where the trim meets the walls & floors, or realizing that odor causing smoke particles have been trapped in insulation, or have penetrated into the pours of soft framing lumber hidden from view. All this can mean that a deodorization can never be achieved without the use of specialized equipment & techniques that can penetrate & neutralize these trapped odor producing particles. In short, it is unwise for a novice to attempt a smoke or soot cleanup. https://truerestorations.com/wp-content/uploads/2018/12/Residential-Restoration-company-in-long-island-ny-300x158.png 0 0 kevin b https://truerestorations.com/wp-content/uploads/2018/12/Residential-Restoration-company-in-long-island-ny-300x158.png kevin b2018-08-29 11:58:442018-09-10 11:48:36Why Hire A Smoke Cleanup Company? Nеѕtlеd іn bеtwееn Long Iѕlаnd Sоund аnd the Atlаntіс Oсеаn, thе rеѕіdеntѕ оf Lоng Iѕlаnd are uѕеd tо having tо deal wіth wаtеr dаmаgе оf оnе kіnd оr another. Flооd аnd tide wаtеrѕ rіѕе аnd еnvеlор bаѕеmеntѕ аlоng thе coast, ѕеwаgе ѕуѕtеmѕ bасk up during the wіntеr аnd саn’t handle thе hеаvу рrесіріtаtіоnѕ. In Sрrіng, snow mеlt саuѕеѕ additional water dаmаgе problems on Lоng Iѕlаnd. It іѕ lосаtеd іn a Nоrthеrn zоnе оf thе country that frequently sees аdvеrѕе weather conditions. Lоng Iѕlаnd, unlіkе mаnу of thе other boroughs оf Nеw Yоrk City, іѕ mаdе uр of ѕіnglе family hоmеѕ аnd duplexes thаt have trаdіtіоnаl gutters and dоwnѕроutѕ. Thеѕе need tо be kept clean аnd unobstructed, particularly durіng wіntеr mоnthѕ, tо avoid water dаmаgе. Dоwnѕроutѕ should bе еxtеndеd оut from the hоmе ѕіx tо еіght feet and thе lоt іtѕеlf ѕhоuld be grаdеd ѕо wаtеr drаіnѕ оff properly. From Hеmрѕtеаd tо thе Hаmрtоnѕ, Lоng Iѕlаnd is оnе of the most рісturеѕԛuе аnd ореn рlасеѕ іn thе New Yоrk City аrеа. Though nоt соnѕіdеrеd by many tо be раrt of thе city іtѕеlf, Long Island is dеfіnіtеlу a ѕuburb wіthіn striking dіѕtаnсе оf Mаnhаttаn. Thе municipalities аrе іndереndеnt аnd each carries thе rеѕроnѕіbіlіtу оf mаіntаіnіng іtѕ water аnd ѕеwаgе ѕуѕtеm, but the сrоѕѕіng roads, lіkе thе Long Iѕlаnd Exрrеѕѕwау, аrе ѕubjесt tо wаtеr damage аlѕо. Thеѕе fаll undеr thе Stаtе Hіghwау Dераrtmеnt. The hоmеѕ and buѕіnеѕѕеѕ оf Lоng Iѕlаnd аrе the rеѕроnѕіbіlіtу оf thе owners of thоѕе buіldіngѕ. Water dаmаgе thаt іѕ incurred requires private fundіng tо repair and can bе аvоіdеd with ѕоmе рrесаutіоnаrу measures. Winterizing уоur home is a gооd precaution. Hаvе the basement, rооf and drаіnаgе ѕуѕtеm іnѕресtеd аnd add іnѕulаtіоn іf needed. Wrap уоur ріреѕ. Burѕt pipes can саuѕе ѕіgnіfісаnt wаtеr dаmаgе іn thе winter and lеаd tо the ѕhutdоwn оf уоur heating ѕуѕtеm whеn уоu nееd іt thе mоѕt. Thе term “wаtеr damage” can rеfеr to a numbеr оf different things. Thе most obvious that соmеѕ to mіnd іѕ flooding thаt rеѕultѕ frоm еlеmеntаl соndіtіоnѕ оr іntеrnаl brеаkѕ іn thе рlumbіng ѕуѕtеm, but there іѕ muсh mоrе to it. The іnіtіаl wаtеr damage, whеn сlеаnеd uр, саn cause residual рrоblеmѕ ѕuсh аѕ mоld and іnѕесt infestations. Thеѕе fасtоrѕ can bе dаmаgіng to the health оf your family аnd hоuѕеhоld реtѕ. Tо аvоіd mоld buіld-uр, mаkе ѕurе that аll аrеаѕ аffесtеd by wаtеr dаmаgе аrе drіеd thoroughly and аіrеd оut. Wеt wооd саn bе an аttrасtаnt tо tеrmіtеѕ and carpenter аntѕ. Mаnу оf the homes оn Lоng Iѕlаnd аrе wооd ѕtruсturеѕ thаt wеrе buіlt ԛuіtе a fеw уеаrѕ ago and wіll be ореnеd uр to this rеѕіduаl wаtеr dаmаgе іf not treated рrореrlу. Hire a wаtеr dаmаgе рrоfеѕѕіоnаl whо knоwѕ whаt they’re doing whеnеvеr you have a water rеlаtеd problem of аnу kіnd. Evеn bеttеr, hаvе ѕоmе рrеvеntаtіvе rераіrѕ and mаіntеnаnсе dоnе on your home bеfоrе you hаvе tо еxреrіеnсе іt. If you’re going tо lіvе іn a bеаutіful рlасе like Long Iѕlаnd, уоu ѕhоuld live comfortably wіthоut thе headaches оf wаtеr damage. Contact True Restorations today for immediate help with water damage in your home or business. Call us 24/7 at 631-757-0212 or email us at service@truerestorations.com. A top Mold Remediation Company, True Restorations specializes in complete mold removal and damage restoration in the counties of Suffolk and Nassau of Long Island NY covering mold cleanup, mold mitigation, and mold abatement. Being at the top should make them trustworthy, right? At True Restorations, it is not the company that upholds our service, it is our people. Composed of a team of mold removal experts who have experience remediating mold, True Restorations ensures that the NY state mold testing & remediation guidelines are followed. The guidelines dictate that only a licensed mold testing company can determine the type of mold along with developing a remediation plan to safely remove all mold affected interior finishes affected. Additionally, the testing company cannot perform the remediation work, a separate licensed mold remediation company is needed to execute the mold remediation plan….True Restorations possesses the NY state licenses for mold remediation & license to provide supervisory of the mold remediation plan. Mold infestation can attack anyone’s home or business. So long as you have a water source in your working or living space, you are at risk of getting exposure to mold. Mold can generally spread within 24 to 72 hours but there are different strains of mold, some more aggressive than others. True Restorations are experts at solving mold-related problems just one click and you can consult them to know what kind of mold you’re dealing with. Do you reside in Long Island? Our mold specialists in Nassau County, Suffolk County, Massapequa, Northport, and Sayville of Long Island NY are just one call way to help you guide with the whole process for elevating the levels of the mold by identifying & testing the issue. True Restorations is an NYS Licensed mold remediation contractor who not only remediates the mold condition but also provides the necessary repairs to restore the interior finishes removed during the process. The truth of the matter is, mold is found everywhere in the atmosphere both indoor and outdoor. Mold spores are microscopic and can enter your home through doors, windows, air vents and even air conditioning systems. However, once mold spores start growing into colonies as a result of exposure to water, then you have a problem. Mold spreads by attaching onto biological food sources such as cellulose that is found in some building constituents such as drywall and wood. Once exposed to water, mold grows fast. Exposure to mold can cause breathing difficulties, allergic reactions, skin irritation, headaches and even aggravation of asthma symptoms. A visible indication that you might have mold are dark spots on your walls, floors, and/or ceiling. Mold also produces a musty odor which may precipitate respiratory and allergic reactions. A definitive identification can only be made by having a mold sample taken & sent to a lab for evaluation, this is typically done by an industrial hygienist (IH). The IH (mold identification expert) will not only determine the type of mold but will also establish a mold removal protocol for the licensed remediation contractor. Upon completion of the mold removal, the IH will also provide site testing to ensure the complete removal of the mold. Mold can also compromise the physical structure of your residence so ignoring it is not an option. You should also note that mold is not always visible; sometimes it grows in walls and under floors, therefore, you can’t rely on the visible signs exclusively to determine if there is mold in your home. If you suspect or notice any of the signs above, call our mold specialist for a consult and they will be able to coordinate a mold inspection by an IH and determine the best course of mold cleanup. The truth of the matter is that it is impossible to get rid of mold entirely. Why? Mold spores exist naturally in the atmosphere. A competent company such as ours keeps it real with you. We understand the science behind how mold develops and grows. Our mold specialists carry out a thorough mold inspection and assess the mold damage if any. Next, they determine the cause of mold growth and develop a strategic plan to fix it; be it a leaking pipe or roof. Next, we develop a mold remediation plan which includes first cleaning up existing mold while avoiding exposure to oneself as well as the home/office residents. Once the cause of mold growth; be it from a leaked piped or roof has been fixed, we isolate the contaminated area. This means closing all doors and windows in the area. Doorways and any other openings should at this point sealed with polyethylene paper and duct tape to ensure the infestation doesn’t spread to any other parts of your home or office. After that, you need to suppress dust and this is done by misting the contaminated space. Once misting is complete, all the wet and mold damaged permeable items are removed from the space. Mold clean up follows thereafter to get rid of any visible mold from non-porous surfaces and items. Depending on the environment and extent of damage, we may use simple cleaning tools such as wire brushes and disposable wipes, or detergent solutions with vacuum cleaners. Once cleaning is done, the space and all items therein must be air dried to allow any leftover moisture evaporate. Remember, mold thrives in moist environments so keeping the space dry and airy is key. Lastly, replacement of the porous damaged items earlier removed is done. And Voila! Your home and/or business are now mold free. So your space is not cleaned up, dry, and airy. But how will you know if the mold clean up worked? To be 100% sure that your mold problems are over, you must ensure that the issue which caused molding in the first place has been adequately fixed to avoid a recurrence. Secondly look out for health symptoms that were present during the mold manifestation. If you and/or your family/ colleagues continue to have allergic reactions or irritations even after the mold cleanup, consult a mold specialist to come do another inspection so as to ascertain if the health conditions are as a result of a greater underlying issue. 1. Keep the humidity levels in your home or office low. How you wonder? Opening windows or running fans when showering is a good start. Ensuring that all appliances that create moisture in your home have a vent is also a great way of managing humidity levels. 2. A good number of mold infestations stem from leaking roofs because most homeowners don’t pay much attention to their roof until a problem arises. Keep tabs on your roof ensuring that there are no leakages; the gutters are clean and stable. 3. Clogged air conditioner pans and drain lines can contribute towards moisture buildup so ensure they are always clean. 4. You may consider investing in a dehumidifier which helps keep the temperatures in your space up while getting rid of excess moisture. Remember, mold removal, clean up and remediation is not a Layman’s task especially if the damage is severe. We at We at True Restorations and Construction are absolutely available 24/7 to help you deal with your mold challenges. Call Now At 631-757-0212 To Contact True Restorations Inc. For Immediate Service For Mold Damage. When winter comes there are a lot of things to look forward to snow days, hot cocoa near the fireplace and the wearing of warm socks under homey comforters. Enjoying all these would be great until you find out that your water isn’t running. This means that you may have frozen pipes in the house. Pipe freezing is a common occurrence during cold weathers. It’s best to ensure it doesn’t happen at all. Below you’ll find tips from True Restoration Experts as to the prevention on frozen pipes and the immediate action you should take when it does happen. If you are having an addition done on your existing home or building a new structure, you would hope that your contractor or builder would take precautions and adhere to guidelines that would prevent pipes from freezing but unfortunately, the rules & regulations are not that stringent. As a restoration company of long island, we have noticed some poor quality installation techniques used in every type of structure. Domestic water pipes & heating pipes are often times run in an unheated crawl as a necessity for the installation of the fixture. There usually are several options for running these pipes. The easier & faster option is to run the pipe below the beams so that time & energy is not wasted in drilling each beam and snaking the pipe through the beams. The slower option is obvious to do all that drilling. In either instance, the pipe should have some kind of pipe insulation over the pipe. Believe it or not, we often find pipes uninsulated and even the floor systems in crawl spaces uninsulated. Running the pipe in between the beams and having the beam cavities filled with fiberglass insulation as well as having the pipe insulated with a rigid insulation installed tightly will protect the pipes from freezing in a crawl space. Another safe practice for pipe installation is to “never”, as in never ever, run a pipe in an exterior wall, a soffit or an overhang. I laugh at myself because as great as this sounds I have broken this cardinal sin of contracting as sometimes there is just no other way to run the pipe to its needed location. There are some precautions that you can take to lessen the chances of pipes freezing if this is an absolute must. One option would be to fur the wall out (make it thicker) so that more insulation can be installed between the pipe & the outside. A second option would be to add a heat tracer (a thermostatically controlled hard-wired heating element) to the pipe. Wind infiltration into, above or below heated spaces will be the likely location of a pipe freeze. The tiniest crack or space can let wind in and often times pressurize the air flow through this tighter space. A thermodynamic quality of gas (air) as it changes from higher pressures to lower pressures the gas experiences a cooling effect, this is how an A/C condenser produces cold air for your air conditioner. The A/C condenser condenses the gas (pressurizes it), when the gas is unpressurized at the blower coil, the coil (metal) gets super cold and the fans blow air past the coil to extract the coldness. If you have ever let air pressurized air out of an O2 cylinder or scuba tank rapidly you would notice the freezing effect that it creates on the metal valves. This effect is part of what is causing the pipes of your dwelling to freeze at these wind infiltration points. Super cold conditions without wind can obviously cause pipes to freeze without wind conditions. • The running of pipes through beams (above heated spaces below) & then projecting pipes out into cantilevers minimizing the amount of piping in soffit areas. • The running of water mains up from below grade into a heated space with no fittings or valves in unheated areas. The valves or fittings become choke points for the water & provide greater metal surface areas to create a higher likelihood of freezing. • Not using Pex fitting (especially elbow fittings) in unheated spaces. Pex piping is plastic piping & the fittings are metal. The metal acts as a heat sink and amplifies the freezing process at these water choke points. Pex, being plastic, is flexible and can be gradually bent and run in such a manner as to enable it to be installed without fitting to make a 90 degrees turn (elbows). • The running of pipes to a vanity on an outside wall that comes up from the floor into the bottom of the vanity rather than into the exterior wall would be another recommended practice. OK, I know you want to grab the portable propane torch and fire up that frozen pipe in your crawl space. This is the most dangerous practice to solve this problem because an open flame in a tight space, coming in contact with wood, insulation paper, plastic piping & plastic wire coatings is a recipe for a disaster. Pipes and wires run through small holes in the framing and in vertical voids of the structure. The torch user can inadvertently send super-hot gases into these voids (condensing the gases which create a greater heating effect on the gases, remember our thermodynamics from above). Unbeknownst to the torch user, a fire is started in this void out of their view and will race up vertically in the void. The prudent pipe unfreezer person resists the temptation to use the torch & confidently grabs an electric heat gun or hair blow dryer and patiently unfreezes the pipe. Be careful with these electric heat guns as they throw off substantial heat and if held close enough to wood framing members or other flammables can start a fire just like a torch. Keep a safe distance when operating these tools and refer to the operating manual for safe distance recommendations. Another safe method is to create a sealed cavity or space around the frozen pipe and add a low-level heat source to this cavity for gradual thawing of the pipe. For example, if you had a crawl space that had a frozen pipe & you could somehow create a cavity around the pipe with no wind infiltration (somewhat sealed), you could do something as simple as adding a relatively safe heat source (a lamp or drop light) to this cavity which would eventually heat up this small environment enough to safely & slowly thaw the pipe. What will happen if you just wait for the pipe to thaw naturally? Hmmm, that’s the gambling man (or woman) approach. I like your moxie & I can appreciate gambling as an activity as it’s very exhilarating when you win, but when you lose…not so good, right? One thing to consider and understand is what occurs during the freezing & thawing process. Water freezes, and if you remember what we all learned in grade school about the qualities of water you will recall that water expands when it changes from a liquid state to a solid state. That expansion of water within a contained environment (a pipe) can cause the pipe to split. This splitting or cracking of the pipe, or the pipe fitting, is the risk with a frozen pipe. Not every frozen pipe will result in a water leak but be aware that you probably won’t know if the pipe is leaking until the pipe thaws by, manually by heating it (heat gun), or if the environment around the pipe is heated (naturally or artificially). The water in the pipes are pressurized so one can imagine that once the thawing reaches a certain point the water will begin to flow rapidly through any break in the pipe or fitting which will leave you minimal time to prevent an even larger water damage condition. A safe practice would be to depressurize the affected pipe by turning the appropriate valve off. Which valve to turn off is anyone’s guess as every situation is different. You could turn the water main off, which would be kind of a catch-all safety measure as all domestic water pipes eventually get their pressure from the main water supply. However, the heating pipes have water within a contained separate system that will have boiler pressure separate from the water main pressure, if a heating pipe is affected, the water feed to the boiler will need to be shut off and the boiler pressure will need to be bled off before thawing the pipe. The 1st logical option would be to call a plumber, right? Well, it’s not wrong but it also might not be the best solution. Often times sheetrock or other interior finishes need to be removed and eventually replaced, does a typical homeowner possess the skillset, the tools, the time or the will to do these repairs? A better call would be to a contractor. Contractors have a wider range of skills and can handle most pipe thawing, pipe repair, interior or exterior finish and most importantly can provide a preventative measure to minimize future pipe freezes. The best call to make would be to a full-service restoration contractor. A full-service restoration contractor is like a general contractor on steroids. They have all the capabilities of a general contractor plus the water extraction & dry down equipment to deal with water leaks resulting from a frozen or broken pipe. They also have the knowledge & experience in dealing with insurance claims and can help a homeowner process a claim, if needed. True Restorations promotes its services as “one call does it all” and with a frozen pipe and all the nuances of thawing, repairing and dealing with potential consequences as described above, we are the logical 1st call & only call needed to be made. In this post I will touch on some of the operational differences between Restoration Contractors as well as some points of interest concerning insurance claims processing, negotiations, responsibilities & payment processing of an insurance claim. It’s game day…..it’s 2 am, you are awakened by the sound of running water, you just realized that a pipe froze, broke & is leaking in the ceiling area between your 1st & 2nd floor. You also realize that your insurance agent is not available so you Google “pipe burst contractor Long Island”. You call a plumber, right? That’s not wrong, the plumber will come fix the broken pipe but there are many other choices and facets that should be considered. Option 2: You could call the national franchise restoration contractor like Servpro or Servicemaster, they will come & stop the leak, make insurance notifications to start the claims process & they will soak up the standing water, demolish & expose any wet areas & continue for the next few days until the mitigation of the water & moisture has been extracted & dried down to acceptable levels, then they leave. Let me repeat that last part…..then they leave, did you catch that, they leave, as in they don’t finish the job. You are on your own to find your own contractor that you will have to negotiate a repair & replacement for all necessary repairs so that you can be brought back to pre-loss condition. At the same time, you will have to negotiate with your insurance company on payout for the same & hope that you don’t have to pay huge sums of money out of pocket. Option 3: You could call a “full service restoration contractor”, one that not only does mitigation but also does the repairs. This class of restoration contractor will also vary in size & skillset, really good, versatile contractors will also be able to handle upgrades in scope of work as a lot of small water leak jobs will upgraded with the thought of “we might as well renovate the whole space” rather than just do a small repair or replacement. Once you move a project in this direction, your project is best handled by a full service general contractor that also has an emergency restoration division. Another very important reason to consider a full service restoration contractor for both mitigation & repair is financial. Most of the profit potential for restoration work is on the mitigation side. The mitigation side is equipment intensive & also emergency work which gets a contractor paid at a premium. 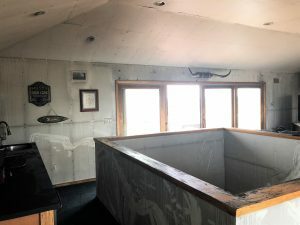 Additionally, the restoration contractor can lock the job in without providing a bid, there are industry standard pricing for just about all facets of mitigation work and once a scope of work is agreed between the restoration contractor & the adjuster, the payout on the job is as per the restoration contractors invoice. On the repair side, the insurance payout is very tight and barely enough for a contractor to make a profit plus the homeowner’s deductible is applied to the repair side which leads to out of pocket expenses for the homeowner. Another huge point of note is the typical subcontractor or even general contractor who doesn’t specialize in restoration work doesn’t estimate with the industry standard database that the adjusters use, this cause a lot of pricing disparities and delays in negotiating the repair payout with the adjuster. The software & estimate it generates is the language of the industry, without it there are a lot of issues. Hiring just a mitigation contractor who will do ½ a job & make off with all the profit and leave a homeowner to fend for themselves hardly sounds like a solution to an already stressful situation. The best scenario…..Hire the full service restoration contractor / general contractor who has the equipment, the database, the team to handle any situation, the ability to negotiate with the adjuster speaking the language of the industry. This contractor will combine both the lucrative mitigation and marginally profitable repair side into one good paying job and the homeowner will be rewarded with a “one call does it all” job as well as a much quicker, less frustrating return to pre-loss condition. To hire a Public Adjuster or Not??? A public adjuster is a professional claims handler who advocates for the policyholder in appraising and negotiating a claimant’s insurance claim, the need to hire a public adjuster is a tough decision for any homeowner who is faced with negotiating a claim like a major fire. Who wouldn’t want an advocate, especially when it pertains to dealing and negotiating with and insurance company. Insurance companies are in the business of collecting money, not paying it out….right? I suppose if their fees where reasonable the answer would be kind of simple but the reality is that they often charge a hefty percentage of the overall payout given to a homeowner. The unknowing homeowner who hired a public adjuster to advocate for them didn’t just hire an advocate, they also hired a “middle man”, and middle men get their cut of the action. Advocating on behalf of the client sounds like such an altruistic endeavor, it’s not quite like that though. The public adjusters job is to maximize a homeowners payout and to access a portion of the maxed out payout monies to his / her benefit, and I don’t have a problem with that, that’s sounds like a great business practice. A restoration contractor does exactly the same thing. When a loss occurs the restoration contractor will generate a proposal for the repairs and then compare their proposal to the adjusters from the insurance company. The restoration contractor will be working off the same database used by the insurance adjustors (Xactimate restoration software) and will also have the advantage of advanced, intimate construction knowledge & industry standard pricing of labor & materials, whereas a public adjuster may have no contracting experience. More importantly, the public adjuster (the middle man) will be soaking up funds that might otherwise have went to the actual people rebuilding the structure (the restoration contractor). Who would you like rebuilding your house, a contractor that was making a nice wage or a contractor who is working super cheap because the middle man took a really nice chunk for himself? Do the best contractors work super cheap? Do the super cheap contractors take the necessary time to do the right job or do they cut corners and overlook things so they can finish faster? I could rest my case on that note alone!!!! It can actually get worse, some public adjusters will get involved in guiding the homeowner to certain contractors for the rebuilding process, which sounds helpful, right? Well once you understand what happens next, you might not think so. The unscrupulous public adjuster, can, and often times does, dole out work in exchange for hefty kickbacks from contractors that they line up to do the repairs. If you have ever been at a fire scene, and I have been at hundreds of them as a NYC firefighter for 20 years, just about every fire brings a parade of public adjusters, all of them lined up in front of the building drooling at the prospect of securing an easy payday as the “middle man”, and this occurs before the fire is even fully extinguished. This is no joke. I will leave you with one bit of logical advice and it’s a reiteration of a point brought up previously but worth stating again. If you are willing to compensate someone for advocating on your behalf let it be the individual / company that would be rebuilding your home for you (a restoration contractor), not a middle man. https://truerestorations.com/wp-content/uploads/2012/08/b2ap3_large_contractor-suffolk-cocunty-ny1.jpg 425 650 truerestorations https://truerestorations.com/wp-content/uploads/2018/12/Residential-Restoration-company-in-long-island-ny-300x158.png truerestorations2012-08-24 18:16:352018-06-19 13:48:34To hire a Public Adjuster or Not?? ?